Whispering Willows is well at home on the Vita platform, retaining much of its charm while downplaying a lot of its shortcomings. Full review below. 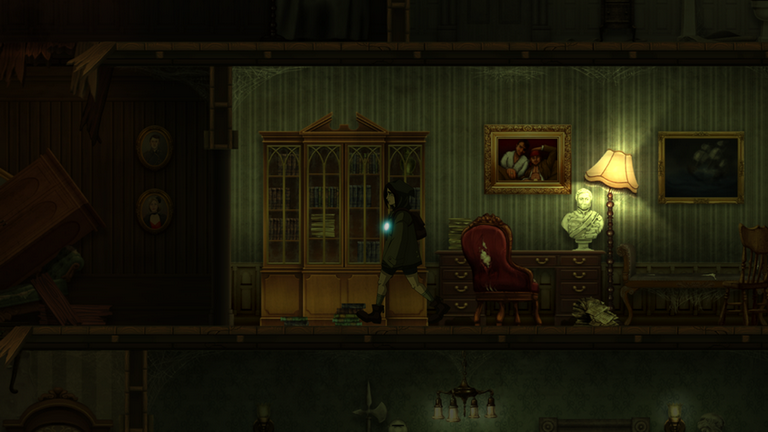 When Whispering Willows originally came out, it was for PC gamers who use the Steam platform. People generally loved the hand-drawn artwork and overall visual style, as well as the atmosphere, but criticized its lack of length and gameplay depth. Well, the game hasn’t changed much, but the platform it’s being played on has. Aside from a release on PS4, the game is now also available to play for Vita owners – and it works well on the handheld platform. First off, it’s still a beautiful game to look at – one of the better examples in terms of indie productions on the Vita platform and way more of a standout product than it was on PC. The story and gameplay are, not surprisingly, also intact – and the concept is still an interesting one. As a young girl, you set out on a quest to find your father, who has been missing for a while. In order to progress, you quickly learn that you can shift between your human form and your ghost form, allowing you to get through places you wouldn’t normally be able to reach. Although you find yourself going through similar motions again and again as you progress, it’s a fun concept that we wish the developers had explored a little more. The game is relatively short, and the story never gets as intricate as you might expect from an adventure game – despite the diary entries that you find along the way which give you more of the back story. It makes the game a tad shallow for an adventure game – leaning more towards the casual side of things. This can be seen as an issue for PC gamers used to rich adventures and rpgs full of lore and intrigue, but it might be a pleasant feature for Vita gamers. Since most Vita games are meant to be played in short bursts and/or on the game, we thought the accessibility of Whisperings Willows was actually a positive feature. Sure, it’s still not an all-time classic handheld adventure – but it’s a good fit for the Vita platform considering the limitations of the game and the characteristics one looks for in a handheld game.